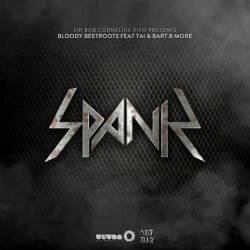 Sir Bob Cornelius Rifo, better known as The Bloody Beetroots, has returned with another electro house rager. He joins forces with TAI and Bart B More, both of whom have recently had successful collaborations: TAI with Riton on the incessant “Jack Hammer”, and Bart B More with Baskerville on a powerful fidgety track, “Disco Zombie”. The three have embarked on a journey to produce “Spank”, out now from Ultra records on iTunes. Starting off with a noxious buzzing sound, the track builds from there towards a “Warp”-like sound, complete with woodblocking and a drop into simulated screams. However, the main break may surprise a listener due to a soft piano line and an anthemic string melody. Whether you enjoy the similarity to his past work or not, you better be prepared to jump when it appears at a show near you.